CLOSEOUTS . 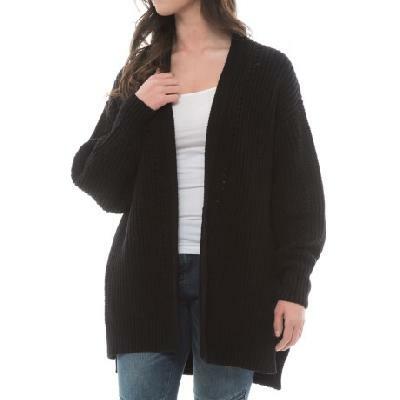 This chunky-knit Free People Nightingale cardigan sweater is the perfect layer to have around the house or at work. The soft cotton-blend yarns and traditional silhouette pamper your skin and complement your style. Available Colors: BLACK, IVORY. Sizes: XS, S, M, L.